Being proactive in the home buying process can be the difference between your offer on a home being accepted or declined. By contacting a loan officer prior to looking for a home, you’ve not only educated yourself on what you can afford, but you’ve positioned yourself to make a stronger offer on a house. We’ve mentioned before the various types of approvals. And we’ve discussed how becoming a Certified Homebuyer through The Family Mortgage Team of Atlanta puts you ahead of the game. 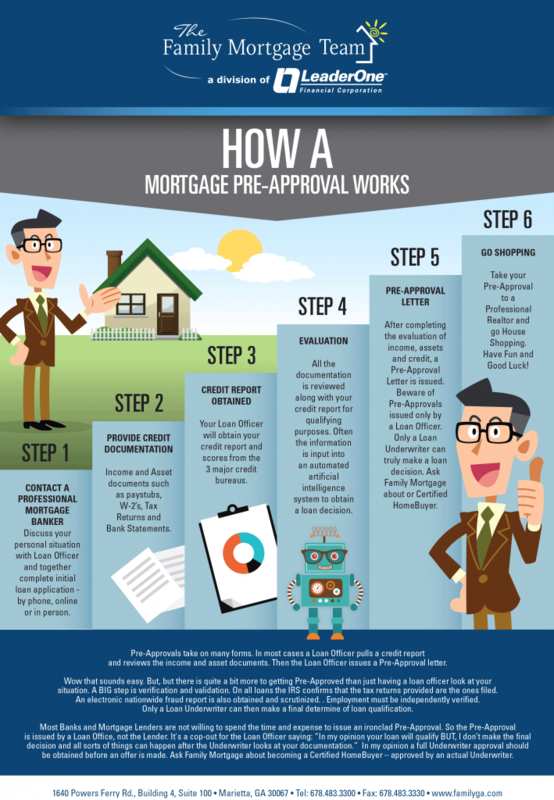 So today we’re going to walk you through 6 steps to becoming Pre-Approved. Now it’s time to take your Pre-Approval to the next step! Call us today @ 678-483-3300 to find out how you can become one of our Certified Homebuyers!